Since my son's earliest days, I have been told that he is very lucky to have me as his mother, but it's obvious to me that he could have done much better. Being ordinary except in the number of mistakes I make and prone to crankiness because of them, and him being born with Down syndrome, I can't say he is the luckiest of people, On Thanksgiving I know I have much more to be thankful for than he does. Any woman would have been lucky to have him as a son; it just so happens that I gave birth to him and that makes the luck all mine. Thanksgiving is a wonderful opportunity to catch up with the latest news and brags about babies and children in our family or among our friends who we may wish had been family while we were growing up. It is delightful to hear doting grandparents share stories about the latest stages and milestones of the youngest additions, and proud parents sharing the latest accomplishments of their sons and daughters as they grow up so fast. When a baby suffers a serious illness or a child is injured in an accident or crime, parents are grateful for every sign of recovery or healing. 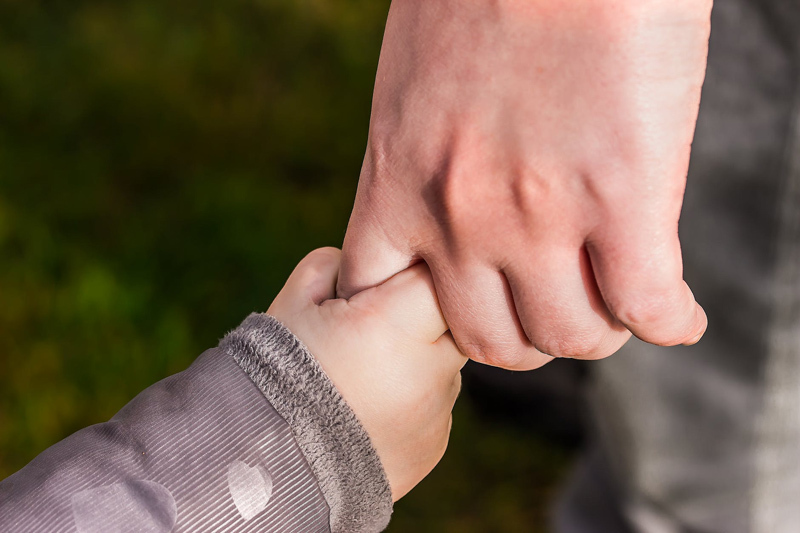 When a child is diagnosed at birth or in early childhood with a developmental disability or delay, parents are inclined to find the most effective help for their son or daughter, and pay closer attention to developmental milestones no matter how long the delay. Any childhood disability can be challenging at the time of diagnosis and throughout the lifespan of an individual, but a diagnosis is only a small part of any person's identity. When raising awareness or seeking support for our children in the mainstream community, the most common messages are that our sons and daughters are more like their typical peers than they are different, and that each one is unique among children with the same diagnosis. Another message is that we are ordinary families and our children are for the most part living quite ordinary lives, even in the most challenging circumstances. Many times when I was first talking to neighbors about my little boy growing up with Down syndrome, I would discover that the person I wanted to educate had grown up with a family member, neighbor, or friend who also had Down syndrome. Some were teens and adults who had inspired deep loyalty and affection in the person who I had thought of as a blank slate waiting for the information I could share. They made a tremendous difference in my life and the opportunities I expected for my son. I am grateful to them. It's harder to be grateful for people whose negative remarks have helped me understand who is the more fortunate between my son and me. Years ago an administrator noted during a meeting that I really knew how to make lemonade when life handed me lemons. My response was that life had handed me a peach. That is how I feel about him still. He is not missing a few key ingredients in his recipe. My son started out wonderful and has improved every day. He is not a low-maintenance person in any way, and we have faced many challenges together, but he is a peach. He was a late bloomer and has had many setbacks, not all due to prematurity, Down syndrome, seizures or developing Type One Diabetes at the age of 7. But he has always been and will always be an amazing person. That was born in him. This is the message that any of us who have a son or daughter with a diagnosis can share. It is not the challenges our children face that make them remarkable and admirable, or their accomplishments despite any extra effort and time it may take them to reach a goal. We celebrate and appreciate our children because of who they are and how lucky we are to be their parents. That's exactly how it should be for all our sons and daughters. Every single one is amazing.